Designers and marketing strategists usually develop new ideas and tactics in relation to what previously worked or not. This means that these days we will see more gender-balanced approaches, a focus on positioning and influencers, and more investment in ethics and honesty. Videos continue to reign as the most effective marketing content with statistics showing a sharp rise in the customers’ engagement with videos and animations year after year. Also, the shift of focus from millennials to Generation Z will add new challenges to marketers who will need to devise strategies to engage this particular group. 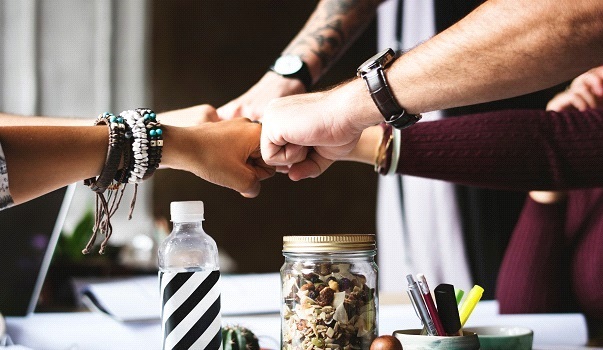 The holistic approach to branding is important, so start by checking some of the ethical and strategic pointers we listed below before turning to technical trends that can come handy. Brands were all about purpose in the previous years, looking for ways to show a greater good they create. Now, it is time to go back to basic positioning. The reason: things got slightly out of hands as brands adopted generalized approaches that put them out of touch with their customers. For a purpose-focused strategy to be effective, there must be a reason why a brand exists, and this should be communicated to customers in a straightforward manner. This can only be achieved through better positioning. But don’t worry; it’s not complicated as it sounds. A good positioning means that you explain clearly why your brand exists and what unique quality it offers that separates it from the competition. Remember to tailor everything to your target audience. It’s a crucial step in every positioning strategy. Follow these suggestions and you’ll be on a good path to create a strong position on the market. If you are interested to learn more about positioning, you can check the video below by Jose and Chris from The Futur. They give some excellent positioning tips and case studies of big brands such as Apple, Toyota, and Virgin America. With feminism being chosen as the word of the year for 2017, balanced approach to gender comes to be one of the dominant factors that can decide the success of a brand. 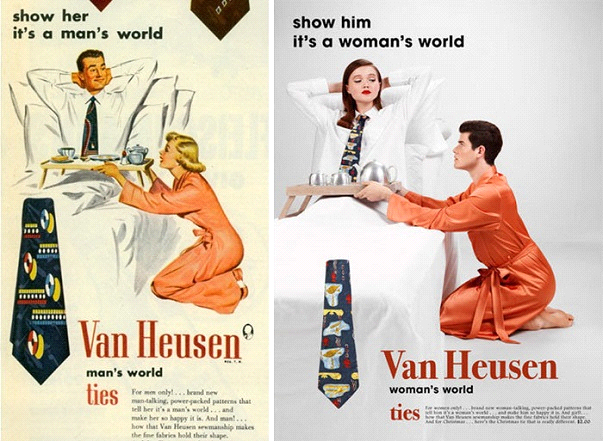 Gender stereotyping has been strongly criticized as the bad practice in advertising. It is less and less tolerated and can have a negative effect on your business success. Statistics also support this: a more progressive advertising is 25% more effective in delivering an impact. Consider the crass and cringeworthy representations in an old advert (left) and an artistic intervention (right) by Eli Rezkallah. Such representations in ads are not just considered grossly wrong, but are soon to be more strictly regulated. “Such portrayals can limit how people see themselves, how others see them, and limit the life decisions they take. Tougher standards in the areas we’ve identified will address harms and ensure that modern society is better represented. Those born between the mid-1990s and early 2000s are coming into the workforce. This means that this demographic group will also increase its buying power. They are even more focused on social media as the source of information and online buying platforms than millennials and watch at least an hour of online videos a day. You need to address Gen Z via the platforms they are using. They trust more brands that are recommended on social media, so you should design a strong social media branding strategy as well, if you want to catch up with them. 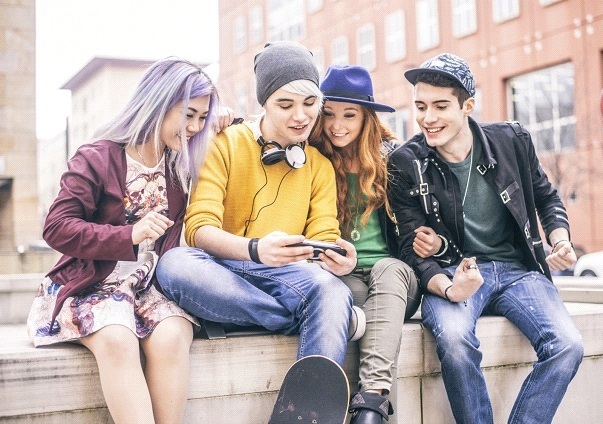 Tied in with focusing on generation Z is the importance of influencers. Gen Z commonly looks for recommendations on social media, so having an influencer backing a brand pays out much more than classical advertising. Before you get big numbers in customer returns and engagement, you need to focus on influencers. If you have them onboard you’ll amplify your voice multiple times and avoid the mistake of self-promotion that does not work with the new generations. Glossy marketing strategies are just not working anymore. In the current times of fake news and post-truth, customers are careful of bombast presentations and too much marketing jargon. Customers expect from companies to do more, to be responsible and ethical. The use of collected data and responsiveness to questions and queries are key points for building trust. In general, transparent and responsive businesses will do better. To join this club of trustworthy brands make sure to explain the ethics behind your own brand, and build an active and responsible relationship with your customers over media channels you use. As we all know AI and virtual reality are on the rise in both research and application. However, implementing them into a branding strategy can still be a tough task. But don’t give up. You can search online for some affordable solutions that can give your customers an opportunity to test your products virtually before purchasing, reducing the number of returns and refunds. This is just one possibility of how you can implement new technologies and be up-to-date. Using the perks of AI can also assist you in solving some pressing issues, or just help you make your production more streamlined. It may seem that AI and virtual reality do not directly influence branding. However, they can assist you in making your own brand more responsive, modern, and technologically advanced than your competitor’s, which is a great branding strategy in itself. Both mobile websites and infographics help you get to the customers quickly and in a visually engaging manner. Although having a website coded for mobile devices is almost a must today, there are still many companies that do not use it. Make sure you have it to your advantage. Infographics are great if you want to avoid making customers read long paragraphs. They are great for getting your message through quickly and effectively, so include them in your branding strategies. AI, virtual reality, mobile websites, and infographics will all be big in future, together with more ethical and gender-balanced approaches in branding strategies. The next generation of young professionals is on the financial rise which turns the focus to social media and influencers as even more relevant channels for advertising. Try to implement as many of these trends in branding strategies and make them a success for you!